Note : Games are provided for download in zip format. 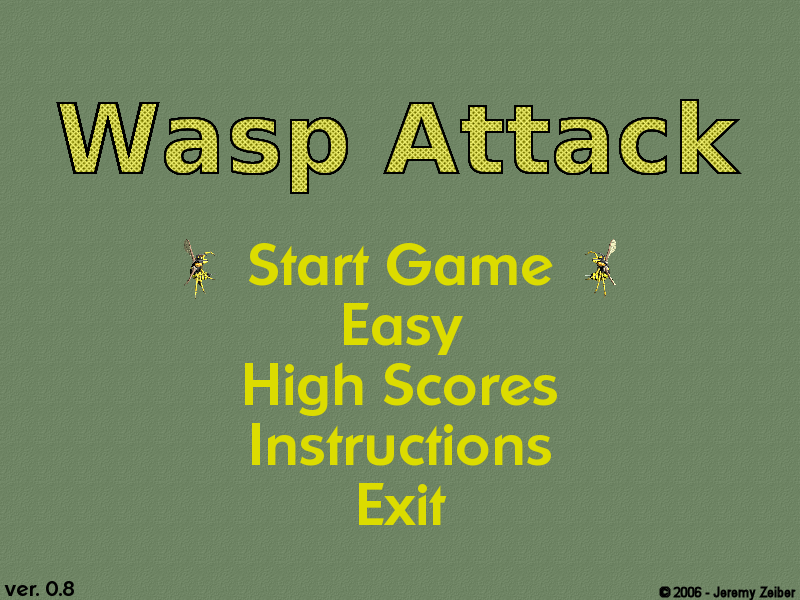 Kill as many wasps as you can before they sting you to death! 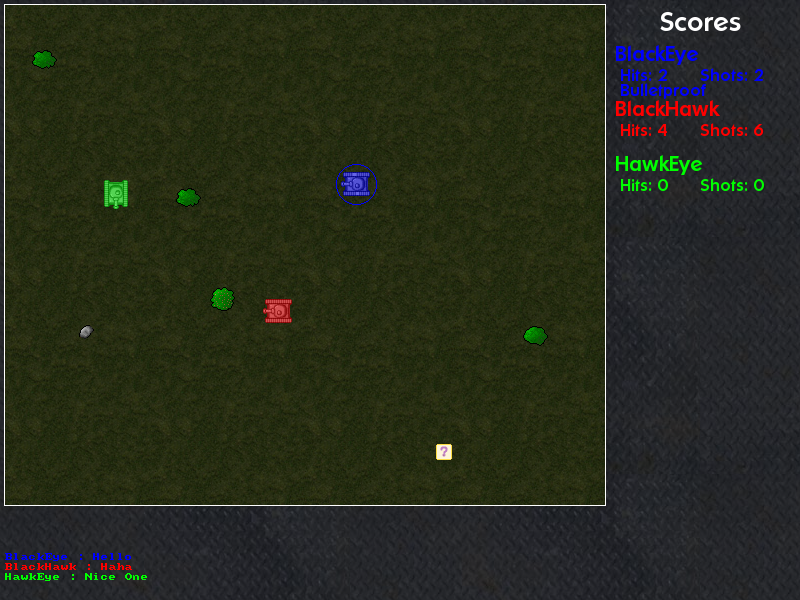 Net Tank is a multiplayer network game, for 2 to 8 players, where each player controls a tank on a small battlefield. 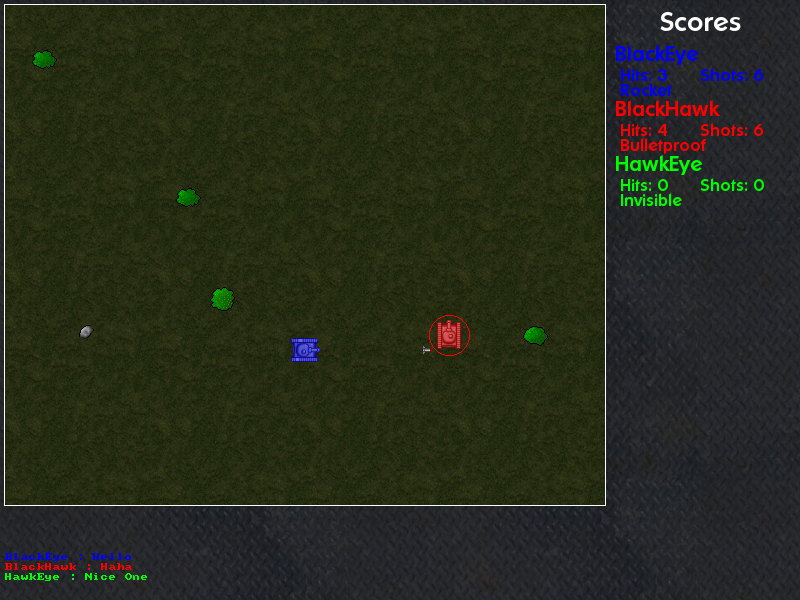 Players drive their tank around trying to shoot the other players' tanks. 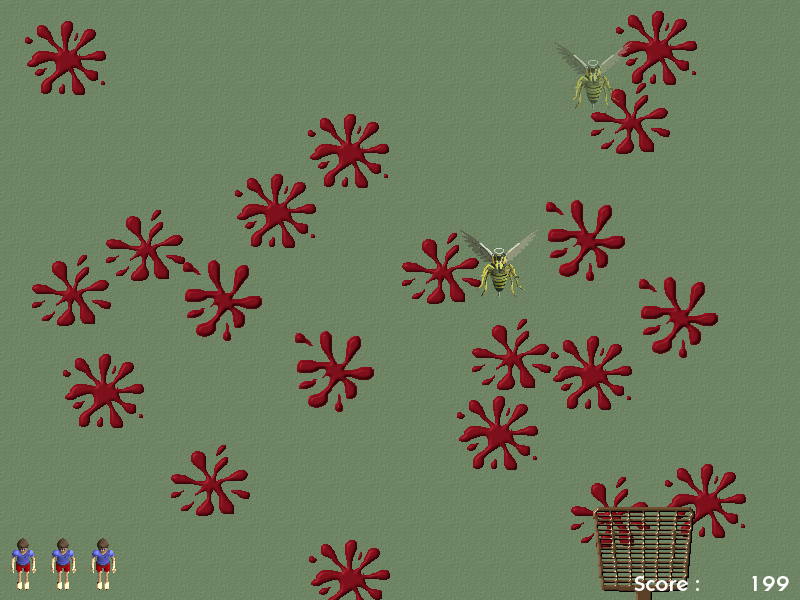 Obstacles and random powerups allow for the use of tactics to defeat the opponents. 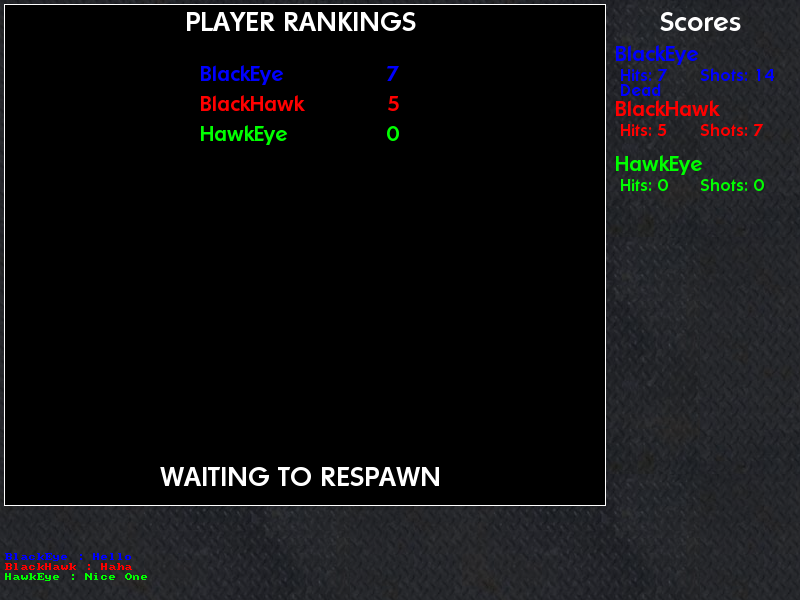 Players can communicate with each other through text messages. 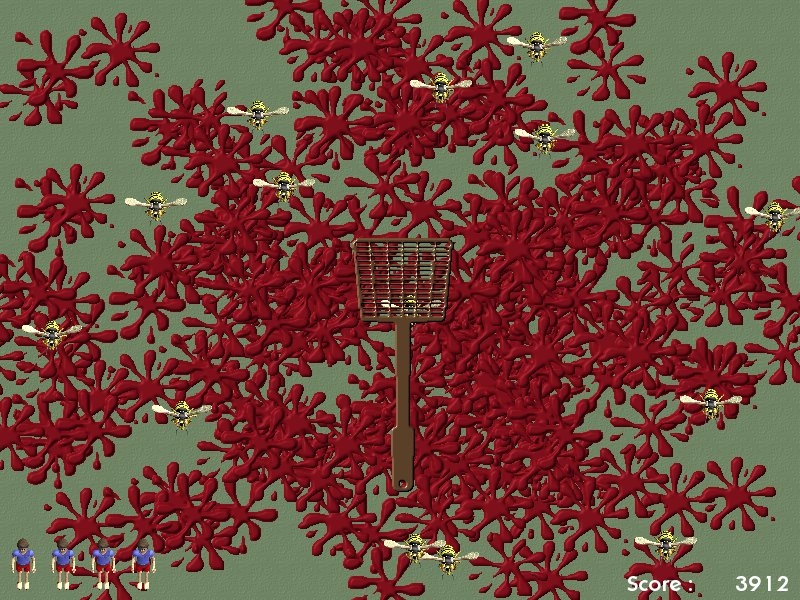 Clients connected to the game can be dynamic, in that any client can exit or join a game in progress at any time.